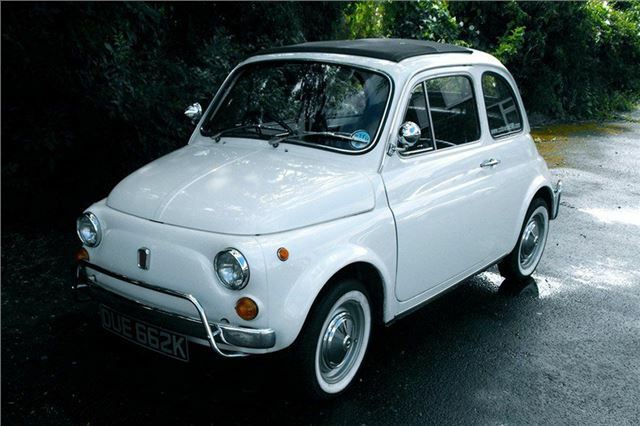 A 1971 FIAT 500, once presented by David Cameron to his wife Samantha as a surprise birthday present, is to go under the hammer by Silverstone Auctions on 17th November. Fully restored and with just 13,000 miles under its wheels, the 500 has been estimated at between £8,000 to £12,000 and is to be sold at the Footman James Classic Motor Show at the NEC. Apart from its history, the car is probably one of the best 500s available. It has been restored to standard specification by the current owner, which included stripping the entire vehicle and replacing any part that required attention. A 1959 Isetta 300 bubblecar in less than perfect condition recently fetched £8,000 in a Historics auction so there is significant investment potential in small, easily stored classics like this. For more information about Silverstone Auctions, its forthcoming auctions and the PM’s old Fiat 500 L, visit www.silverstoneauctions.com.